You know that the road to better health is, sadly, not paved with ice cream and lattes and that a lot of good nutrition comes from foods that come directly from the ground. And yes, there are scads of great nutrients in a lot of the healthy foods we eat. There is one component that has a positive impact on our health despite the fact that we don’t really digest it — fiber. Let’s take a look at why fiber is so awesome and where we can find it. Fiber is a certain type of carbohydrate that is found in plant-based foods. It is formed by solid bonds between a ton of sugar molecules, which means it’s hard to break down and digest. However, while this sounds like it’s a perfectly pointless thing to consume, it has loads of benefits to the human body — yes, really. There are actually two types of fiber — soluble and insoluble. Soluble fiber dissolves in water (hence the name) and forms a gel-like substance in the stomach, and even though this sounds disgusting, you definitely need soluble fiber. Insoluble fiber, on the other hand, passes through your guts pretty much intact. 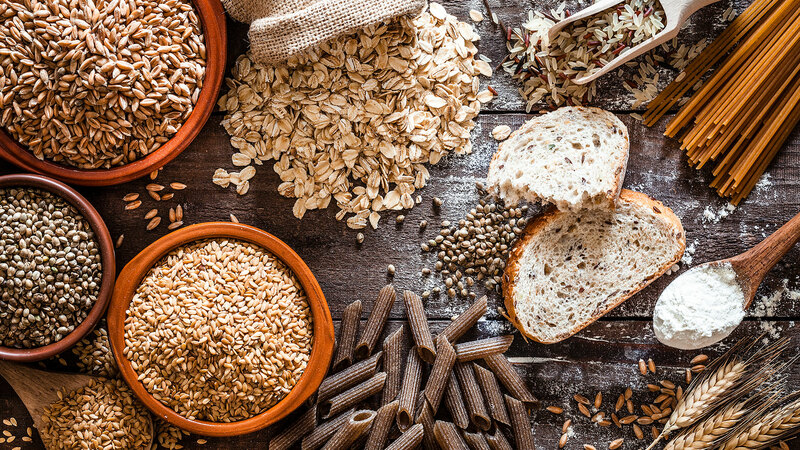 The best part is that fiber-rich foods usually contain both types of fiber, so you don’t need to pick and choose to make sure you’re getting enough of both. Why is fiber so damn good for us? SheKnows spoke with Dr. Morton Tavel, a physician and clinical professor emeritus of medicine at the Indiana University School of Medicine, to get some more insight on this nutritional beast that we can find in some of our favorite foods. Here are some of the ways fiber can and will benefit our bodies. Reduces cholesterol. Fiber helps block intestinal bile acids that promote fat absorption, which means that you’re less likely to absorb dietary fat and cholesterol, Tavel explains. This can help lower low-density lipoprotein (also known as LDL, or bad cholesterol) levels in your blood. Consuming more fiber can lead to better weight control, Tavel says, as it naturally helps you eat less and feel full for a longer period of time. Fiber, in addition to blocking fat and cholesterol, also slows the absorption of carbohydrates into the bloodstream. According to Tavel, this has a beneficial effect on blood sugar levels, as they rise more slowly and allow the pancreas more time to react with its production of insulin. Fiber can help bulk up your stool, which sounds awful, but it’s actually a good thing, especially since fiber also helps speed up the movement of food (and poop) through your digestive system, Tavel says. This can lead to amazing poop sessions and can prevent constipation. Fiber is in a ton of your favorite foods. Food that comes from the ground is the most likely spot you’ll find it, but there are processed foods that do have some. However, your best bets are fruits, vegetables, legumes and whole grains, and make sure you eat enough. Women should shoot for 21 to 25 grams per day, while men should target a bit more — 30 to 38 grams each day. If you eat some of these high-fiber foods, it doesn’t take long to get your fill for the day. Your belly and your body (and your poop!) will be happier if you keep that fiber train coming.